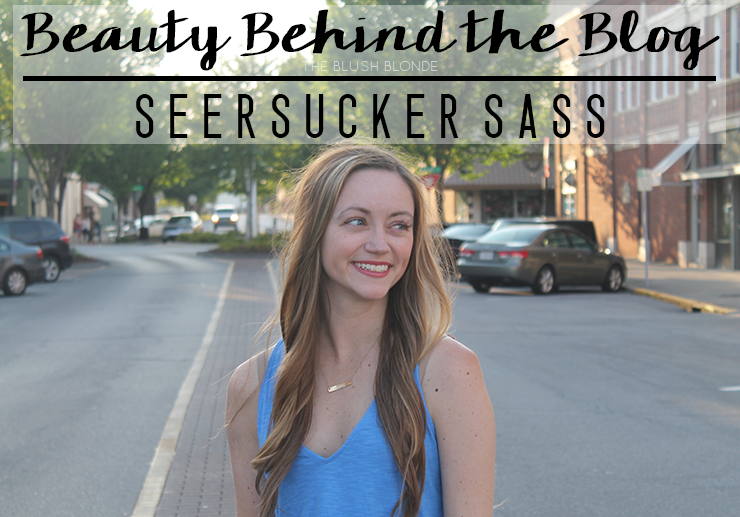 Today I'm back with my second installment of Beauty Behind the Blog with an interview of Dana from Seersucker Sass! My momma. When I was little, I would sit and watch her fix her hair and put her makeup on each morning before work, and I was mesmerized. She stressed the importance of taking good care of my skin and only using makeup to enhance natural beauty. Moisturizing before putting on my foundation! It makes such a difference. No! I'd love to do more. Tom's of Maine Naturally Dry Deodorant (Is that beauty? Oops.) I can only use natural deo since I had the lymph nodes in my armpit taken out, and this is the only stuff I've found that works. In the morning, I wash and moisturize. At night, I wash, moisturize, use a sleeping cream, and apply eyelash serum. My pores are awful, but my sleeping cream has been helping so much with that! And I use Biore Pore Strips once a week. What is your must have skincare product(s)? A gentle cleanser for oily skin and a moisturizer with SPF. I also couldn't live without Neutrogena Makeup Removing Wipes. A facial! I need one so badly. Try not to pick and just let the breakout run it's course. I had an allergic reaction to an acne product once, so I steer clear of all of them now! I wear very little makeup from day to day - CC Cream, translucent powder, highlighter on my cheekbones and apples of my cheeks, blush, a shimmery neutral eyeshadow, and lipstick. I don't wear mascara at the moment because I'm attempting to let my eyelash extensions grow out. I do the same as above, but do a full contour, more eye makeup, and eyeliner. I'll also switch my "day" lipstick for a red or hot pink. I can't live without highlighter, blush, and plum lipstick. Using translucent powder instead of a powder matched to my skin tone. It looks so much more natural! And when wearing bold lip color, always use a lip liner! I wash and condition my hair every night, and then I curl it in the morning with a large barrel curling iron. The less work, the better! What are your must have hair products? Organix Shampoo and Conditioner and Batiste Dry Shampoo! Pricey hair spray. I can't help it - I'm a Southern lady, and I need my hair spray! Sometimes I wake up with amazing waves, so I'll brush the top of my hair, spray it, and go. If it's a little too wild, I'll curl it with a large barrel curling iron. Or if I'm in a crunch for time, I'll fishtail braid it! I curl it with a large barrel curling iron, but I'll tease it up a little bit. This is awful, but sometimes I don't brush my hair after washing it, and I sleep on it like that. I wake up with the most amazing waves in the morning. I use a gentle cleanser on my entire body, and then lather up with lotion after I shower. My mom swears by this and she's in her 50's with no wrinkles, so take notes - I exfoliate. What are your must have body products? A good razor and sunscreen. Vita Liberata self tanning products! I had laser hair removal about ten years ago, and I would love to splurge and have that again! My diet and nutrition could be better, but I'm pretty good about enjoying things in moderation. Jump roping and yoga for flexibility videos. I used to take dance for hours a day in high school, so I try to take it much easier on my body now. A huge thank you to Dana for sharing a look into her beauty routine! Do you use any of the same products? Let me know below! This is such a fun series. I love the chance to learn about new products and see how others care for their skin! Dana always looks gorgeous! I adore Dana!! Love getting to know a little more about her beauty routine!! Dana is always stunning!! I've never had a facial and really want one!! Loved this post! Loved reading about you! Such a fun way to get to know more about your love for beauty! Love this post! 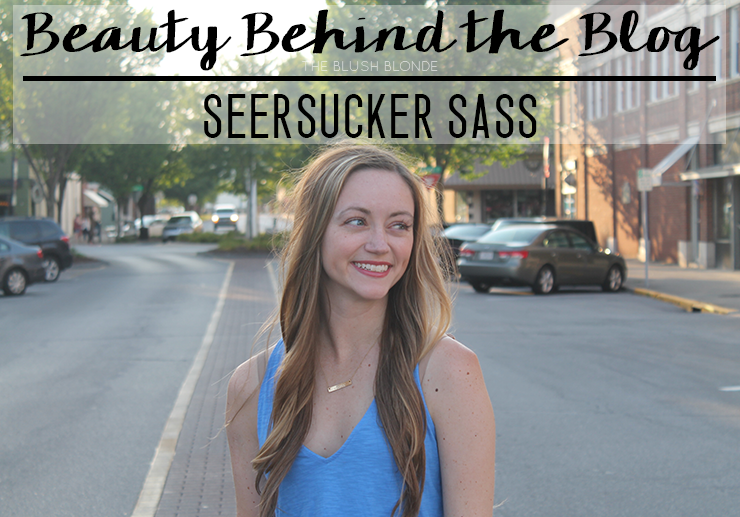 I love getting a look into other blogger's beauty routine! It was so much fun getting to read about Dana's beauty routine! Thanks for sharing! Loved reading this!! I also use translucent powder and it really has changed the way my makeup looks and feels!! This was so much fun to read, love your beauty take on a Q&A! Such a great Q&A! I love how to the point all of it is. You look stunning!! Love the lashes btw. I would love to incorporate the biore pore strips into my weekly routine. I too have oily skin so a lot of her routine was similar to mine. 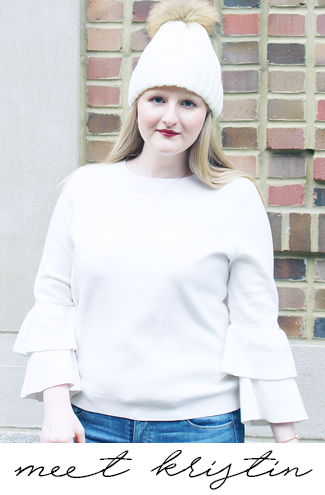 I love seeing other bloggers' beauty routines -- thanks for sharing! Love this! I actually just started moisturizing before I put my makeup on. It really does make a difference! Love this Q&A its so interesting to see all different bloggers featured and what their makeup/beauty routines look like. I love plum lipstick too! This is such a fun interview, I love these kinds of posts!